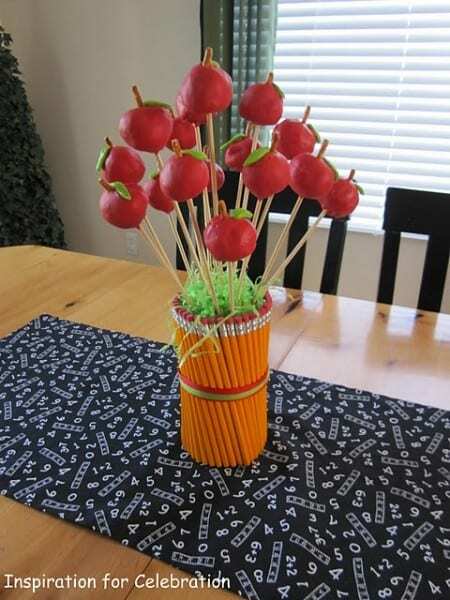 I'm always looking for new variations on cake pops, so when I saw these donut hole apple pops at Christina S's Back to School Dinner, I needed to know how she made them. 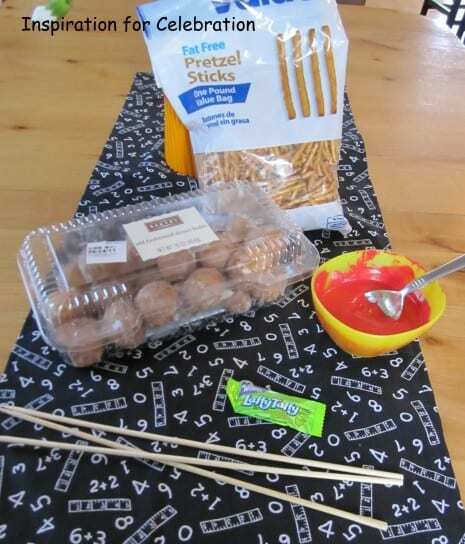 Turns out they're quite quick to make (a nice alternative when you're in a rush), and look how much they add to a back to school celebration like Christina's. 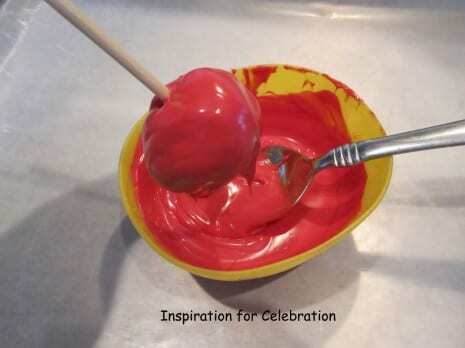 To see the whole tutorial, check out this post on Christina's blog Inspiration for Celebration. Thank you Christina, for this great idea! If you make some please send photos, I'd love to show them off.